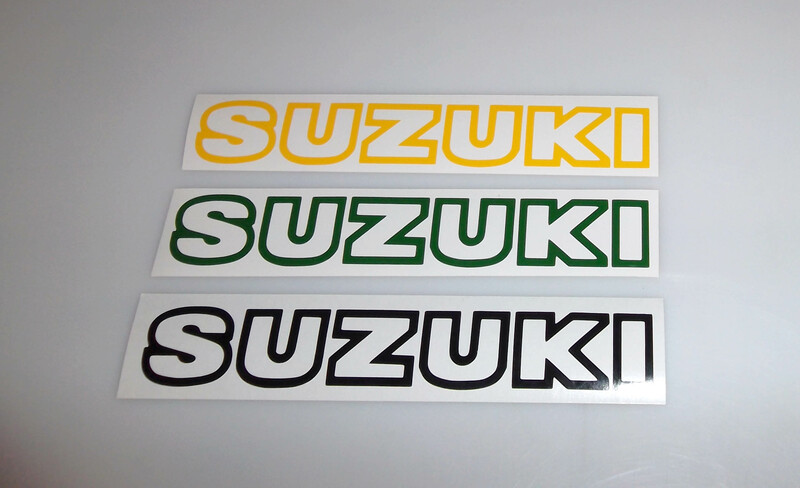 “SUZUKI” decal in tons of colors. 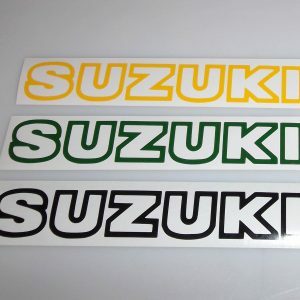 The sticker material is just the colored part, the outline. The white you see is the backing. So, the letters “fill” with whatever backing color you put them on. White looks good on dark backgrounds like tinted truck windows. Black looks great on yellow or lighter backgrounds. 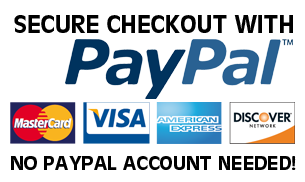 Order by width, a 8″ wide is about 1.25″ tall, etc. They come with application tape cover for easy installation. These are not sold as sets, just order the number you need below by color and quantity.